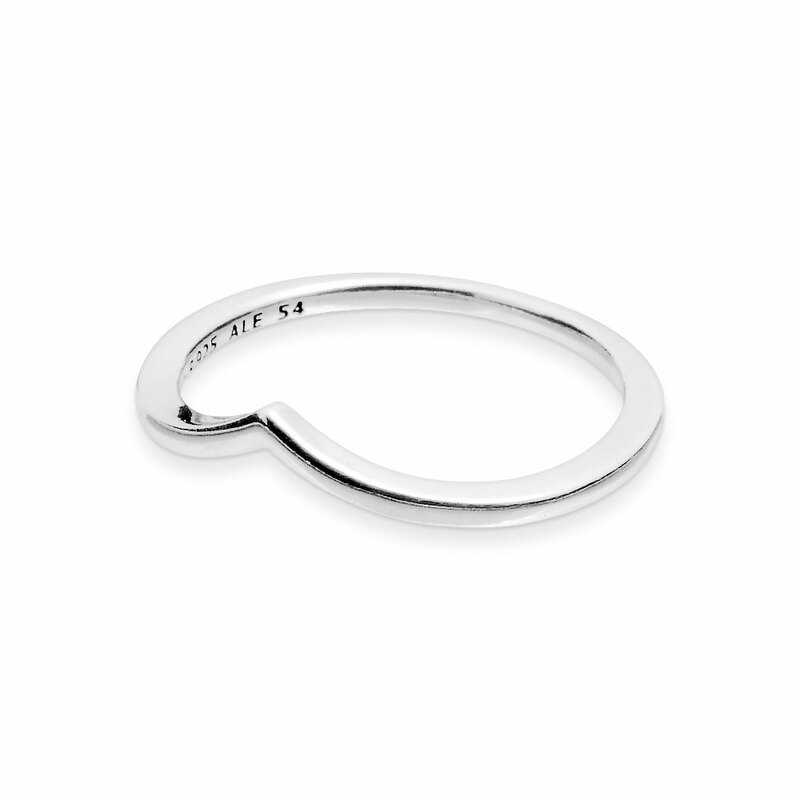 Sleek and elegant, the sterling silver lines of this wishbone ring bring maximum shine and minimalism. Style tip - Stack the Beaded Wish and Shimmering ring with this style for a textured ring stack or spread them across your fingers for a minimalist geometric look. New Wishbone rings are now available in smaller sizing (from size 46) so can also be worn as midi rings placed between the fingernail and first knuckle. Available online or in concept stores only. Shining Wish Ring is rated 4.6 out of 5 by 20. Rated 5 out of 5 by GradVee from Classy Ring! Very happy with this ring.. I wanted something simple but classy for work. Rated 5 out of 5 by Bri1023 from Simple, beautiful! I have had this ring for almost a year, and it is still in perfect condition. I NEVER take it off, I sleep, shower, and workout in it and it has lasted beautifully! Rated 5 out of 5 by danielle09876 from LOVE I bought this ring along with the Quietly Spoken Ring about a week ago and I am in LOVE! I haven't taken either off since! They are both so simple that I can wear them with anything! Rated 5 out of 5 by Mars28 from Simply perfect I bought this ring last week and I haven’t taken it off since! It is very simple, yet has enough of a design to make it noticeable. I’ve gotten so many compliments! I switch from wearing on my thumb to wearing it on my ring finger (right hand). Very versatile and goes great with any outfit. Rated 5 out of 5 by Kissmyfreckles from Simply gorgeous Bought 3 months ago..I love it!! Modest enough to wear everyday, yet just enough sparkle to brighten your day. Rated 5 out of 5 by MJD4 from Pandora Shining Wish Ring I bought this for my granddaughter and thought that it would not get here on time for her birthday. However, it arrived just in time. Fast delivery. She loves the ring. It made her birthday very special. Thank you.